I was born in Romania. While I grew up there, I thought castles, fortresses and monasteries were something very common that you could find anywhere in the world. After traveling to more than 50 countries up to date, well, I was proven wrong. Not only I didn’t find many – except in Wales, Scotland, Germany, Spain and a few other countries – but I discovered that Romania, if traveled from East to West and North to South, offers phenomenal sceneries rarely seen in the world. It should be on your Top 5 countries to see before you die. I decided to put together a list with the most beautiful castles, fortresses and monasteries around Romania. I am sure I am also missing a lot of them, so feel free to suggest for addition to this article. I did not take all the pictures below. I would like to give credit to the photographers (if you know any of them, please let me know). I collected some of the images from active Facebook groups promoting Romania, such as Te iubesc, Romania and Top Romania. 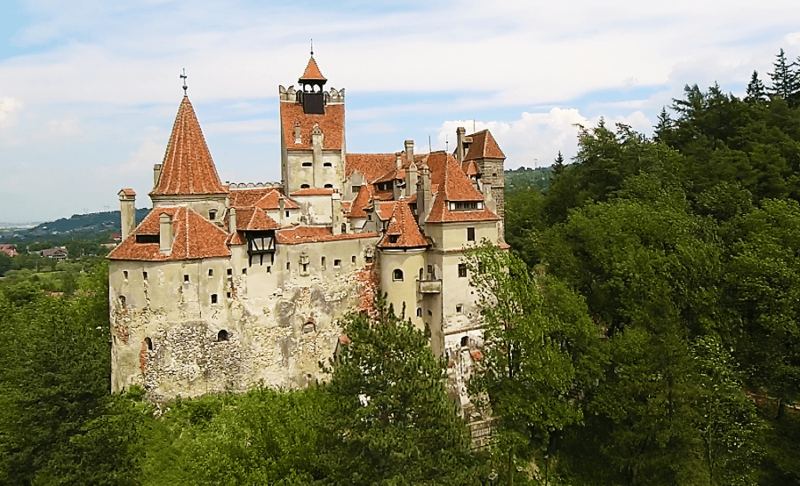 Bran Castle (Romanian: Castelul Bran) is one of the most famous castles in the world. It is situated near Bran, a town located in Brasov County, right at the border between Transylvania and Wallachia. It is commonly known as Count Dracula’s castle. The first documented mentioning of Bran Castle is the act issued by Louis I of Hungary on 19 November 1377. A few months ago, a Canadian brother and sister spent a night at Dracula’s Castle, sleeping in coffins as beds, after winning a competition. Siblings became the first people to pass the night there in 70 years. ed in silver in 1798 and lithographed in 1871 by Major Papazogeu). 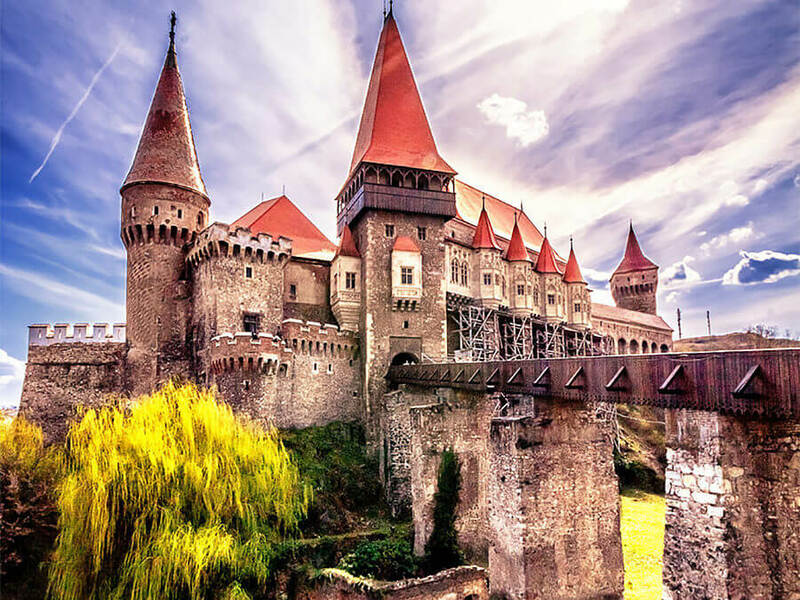 There’s more to Transylvania than Dracula, fairy-tale castles and medieval cities. For me it is a land of myth with breathtaking scenery, picturesque villages, virgin forests and well-preserved fortified churches. It’s like stepping back in time to a place where traditions are kept from generation to generation and where man and nature coexist. It’s a timeless place. The filming took 12 days in October while we visited the following locations: Trascău Mountains (in the Apuseni Mountain range), Târnava and Hârtibaci Plateau (inside Sighişoara-Sibiu-Braşov triangle) and Moieciu. We were very lucky to catch the morning mist in Biertan, Viscri and Aries Valley. The gear used: Nikon D7200, Nikon D7000, DJI Phantom 4 and a motorized slider. The film is edited in 4k 60 fps for a smooth camera motion. Drone footage was recorded in 24 fps and sped up to match the 60 fps format. Sursa: Timeless Transylvania from Mihai Doarna on Vimeo. In the 3rd-4rd century BC, Greeks mentioned the Getae living beyond the Danube river in today’s Vallachia and described them as “bravest and most righteous” among the Thracians. The Romans refereed to “North-Thracians” living in today’s Transylvania as Dacians. In 1st century BC, king Burebista unified all the Thracians living north of Danube under a single state. The Romans conquered the Dacians after two military campaigns in 101 AD and 105 AD. The first campaign ended in failure, due to the Romans underestimating the Dacian military. A peace agreement was reached by both sides. In the meantime, Trajan built a bridge over the Danube from Moesia (bridge which became the longest bridge in the world for more than 1000 years), which was to be used to carry large Roman troops for another well-prepared invasion 3 years later. Roman propaganda stated that the second war campaign was “punitive” for supposed violations of the peace treaty through Dacians raids into neighboring Moesia. The reasoning behind the effort put into the second campaign was in fact economic. The Roman empire was collapsing and the gold from the Dacian mountains was the answer. In 105, the Dacians were taken by surprise by sudden Roman attacks and although at first they repelled the attacks, they were eventually overcome. After the win, Trajan announced 123 days of celebrations throughout the Empire. Dacia’s rich gold mines were secured and it is estimated that Dacia then contributed 700 million Denarii per annum to the Roman economy, providing finance for Rome’s future campaigns and assisting with the rapid expansion of Roman towns throughout Europe.The Dacian Wars marked the beginning of a period of sustained growth and relative peace in Rome. The Romans created dozens of statues of Getae-Dacians (the ancient people of present-day Romania), which can be found in museums all across the world. The statues were made on Dacian captives from the Roman empire, detail which can be observed from their stance and from the “Captivus Dacus” written on bust statues. One of the busts is believed to be of King Decebal, the last Dacian king who fought the Roman wars and who chose suicide at the end (rather than surrender). His head was brought to Rome as a war trophy. Although books on the Getae-Dacians have been written since the 1700’s (Dimitrie Cantemir, Gheorghe Sincai, Petru Maior), their history remained ignored. Petru Maior’s book was censored and his works on the subject forbidden in Transylvania (under Austro-Hungarian rule at the time) (source). Bust believed to belong to King Decebal. It was placed inside Trajan’s Column along with other busts which carried “Captivus Dacus” writing.Trajan’s Column is a monumental spiral which depicts the Dacian wars. People in a small Romanian town performed a traditional New Year’s bear dance on Friday. Families and children could be seen dancing, playing instruments and singing as part of the ritual traditionally performed to mark the end of each year. In pre-Christian rural traditions, dancers wearing costumes toured from house to house in villages singing and dancing to ward off evil. Beautiful Carpathia from The Brothers M on Vimeo.